Traditionally our most concentrated and powerfully opulent Pinot of each vintage, the 2008 Finn release gracefully combines the crunchy red fruited nature of the vintage with all the layered complexity, density and succulence that typifies this bottling and sets it apart from all, but a few of the finest Pinots each vintage. 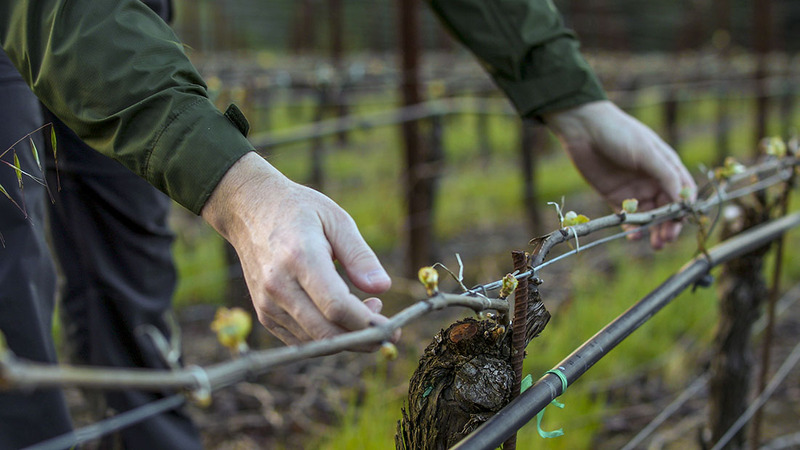 The Occidental and Widdoes sites – the key components to this wine since the inaugural 2000 bottling – are joined for the first time by a 1.2 acre parcel of 943 clone from our Estate Vineyard. This small block, planted high density on extremely shallow porous soils, provided one of the wines of the vintage in 2008 (and again in 2009). The 943 clone’s clusters and berries are unusually small for Pinot – heightening the structure and palate weight of the resulting wine – and yet we are able to harvest the vines at low sugar due to the moderate amount of fruit each vine carries. We found that this small lot brought an element of dark penetrating fruit to the wine in addition to fresh acidity and some focused tannin on the finish and are so impressed with the vineyard block that we envision it becoming an integral component for the Finn bottling each year. The style of this vintage’s release is slightly more forward than the 2007 and will therefore drink well from a year after release for at least eight to ten years. Medium dark ruby red; juicy fruit driven aromas that turn opulent with aeration. Bright red currant, cola and black raspberry notes with darker truffle complexity and emerging baking spice notes. Extremely integrated palate such that individual flavors are hard to pinpoint. Initially crunchy red fruited then forest floor autumnal sweetness with a vibrant mineral streak. Maintains subtlety and glides to a polished broad mouth filling finish. Drink between 2011 and 2020.